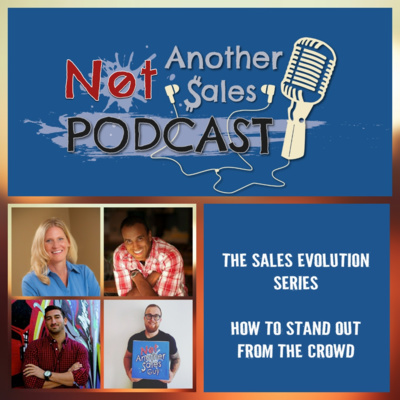 Welcome to the Not Another Sales Podcast, hosted by Chris Hatfield, which focuses on more than just the skills required to be successful in life. It looks at all the pillars, which include your behaviours, attitude and habits that form the foundation for success. You'll be provided with actionable tips and insight to build into your life from topics that will give you a whole different perspective. 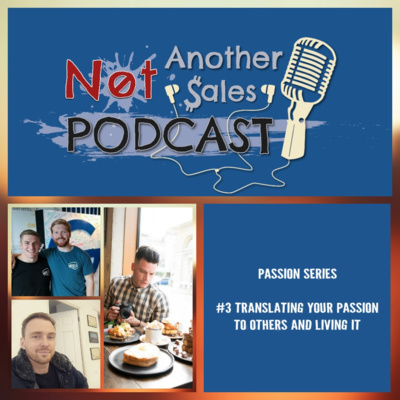 Each episode Chris is joined by an inspiring guest who also shares their story of success so far. So if you're looking for a podcast with a difference, that starts with the mind, then tune in! Every individual has some form of goals or dreams they want to achieve, whether it's a small idea or something that is spurring you on each day. The challenge with these goals is that we can sometimes only invest a small amount of time being clear on them and being accountable to achieving them. An effective way to work towards the life you want, is to manifest it. Manifesting is just taking an idea, concept, or fragment of your imagination and bringing it into your physical reality. Curious to find out more and hear from someone who's seen it change their life, then tune in to this week's episode. I'm joined by Kathrin Zenkina, a mindset coach and success strategist for women who know deep inside that they were meant for more, and want to live the kind of lifestyle that matches that inner knowing. Kathrin also founded the brand Manifestation Babe. In this episode Kathrin will share what life was like before this focus and passion of manifestation and how the connection came about to pursue this belief. She'll share the differences it made to her life and how she monetised it and shaped it into a multi-million business. She'll also be sharing her tips and advice throughout for those looking to bring manifestation into part of their life. It's a crowded and competitive marketplace in this day and age, with a lot of noise of companies showcasing what they do. With this in mind, you need to be mindful and effective on how you stand out from the crowd; how you show your difference and make yourself memorable amongst all the noise. In the third instalment of the series, I'm joined by; Keenan; aka A Sales Guy, Forbes Contributor & Award Winning Blogger, Max Altschuler; VP of Marketing at Outreach and CEO/Founder of Sales Hacker, Laurie Page VP Sales Strategy at The Bridge Group If you want to become more equipped with how you utilise your authenticity, breakthrough the crowd and show the true value of what you can offer, then tune in! For us to be able to provide our customers with a product/solution that fits their need, we need to ensure we understand their challenges and desired outcomes. It happens too often, where we jump into the pitch too early, thinking we need to show our difference from what we say. But we can also show our difference from what we ask and how we ask those questions. In the second instalment of the series, I'm joined by: Keenan; CEO A Sales Guy, Forbes Contributor & Award Winning Blogger, Laurie Page VP Sales Strategy at The Bridge Group, James Bawden Senior Sales Development Rep, voted Top SDR 2018 If you want to become more equipped at truly understanding your customer's challenges, the impacts of these and their desired outcomes, then tune in! The world of sales can be a tough and lonely place, but it can also provide some of the most memorable moments of your life. No day is the same and things can change in an instance. One of the most important things to focus on, further understand and manage is your mindset. How do you stay consistent, operating from a place of positivity and focusing on your strengths? In the first episode of the series I'm joined by: Keenan; CEO A Sales Guy, Forbes Contributor & Award Winning Blogger, Max Altschuler; VP of Marketing at Outreach and CEO/Founder of Sales Hacker, James Bawden Senior Sales Development Rep, voted Top SDR 2018 Tune in to get some great insights and tips on how to manage your mindset effectively within the world of sales. Having a strong product, value proposition and sales process is of course important to your success when selling. However, all of this good potential can fall down if your mindset towards what and how you sell is coming from a negative and limited space. 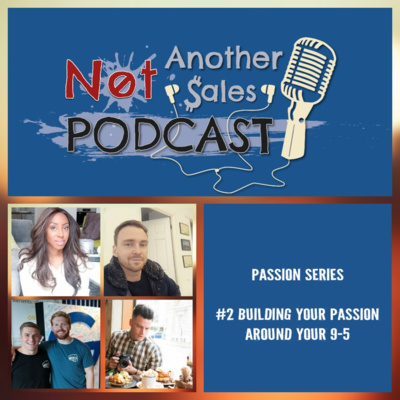 Whether you're a new business owner who feels you're not a natural sales person or you work in the world of sales and don't feel confident in what you're selling; this episode is for you. We can have a number of limiting beliefs and points of view when selling, which we may not realise are having a negative impact on our outcome. So how we do increase our self-awareness of our mindset when selling and how we can utilise it? 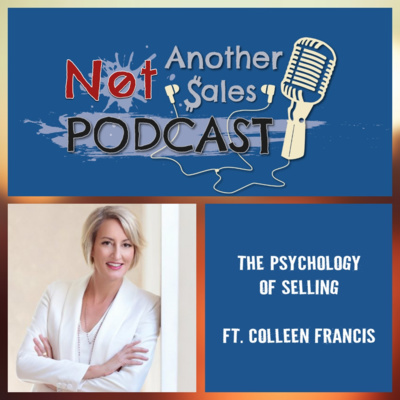 This is what we're discussing this week on Not Another Sales Podcast, with my guest Colleen Francis. Colleen was named in LinkedIn's Top Voices 2018, is an award-winning Sales Strategist and Best Selling Author. 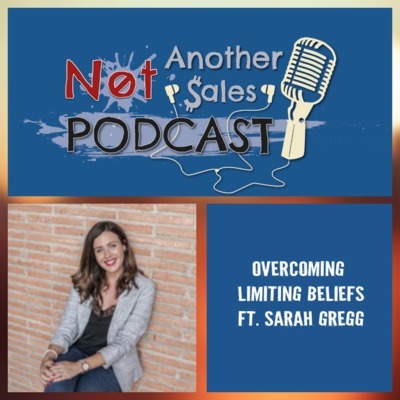 Colleen and I are talking about some of the limiting beliefs that can impact us in the world of sales and the the reasons why some people don't see themselves as natural sellers. We'll also be discussing what's important to focus on when it comes to the mindset and how can you replace limiting selling beliefs, with limitless ones. Whether you’re starting a new business or developing in your career, one of the fears that can plague us, is that there’s too much competition in a crowded market or business. This leads to us not even trying initially as we feel we can’t compete with those around us. This is one of the situations where having an abundance mindset can help move you beyond this fear, realise there is enough opportunity to go around and that you deserve success, as much as anyone. But how else is an abundance mindset beneficial and how do you develop it? 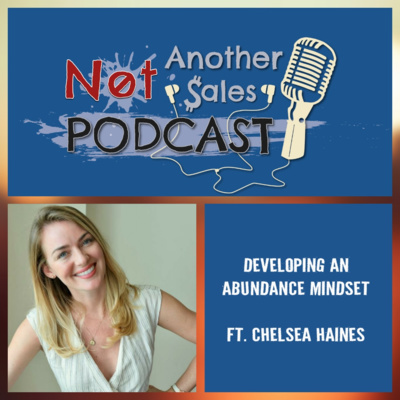 To answer this on this week’s episode, I’m joined by Chelsea Haines; a Health Coach focusing on functional nutrition, specialising in the abundance mindset. We’ll be expanding more on what an abundance mindset is, how it can help us in our everyday life and through our business and how you can begin to develop it within you. If you want to come from a place of thrive, rather than survive, then tune in! We grow up with dreams of being whatever we can imagine, we know no limits when we’re young. Yet fast forward to we’re you’re at now, there’s probably a number of barriers, limiting beliefs and “rules” you’ve adhered to. In life no one’s going to give you permission to break away from these, you need to seek the outcomes you want by empowering yourself. By taking control of your own life, giving yourself permission, you can achieve everything you want. The same goes for when you empower those around you, whether it’s family or a team in your business. So why is empowerment so important to living a fulfilled life and how can you instil it into your life? 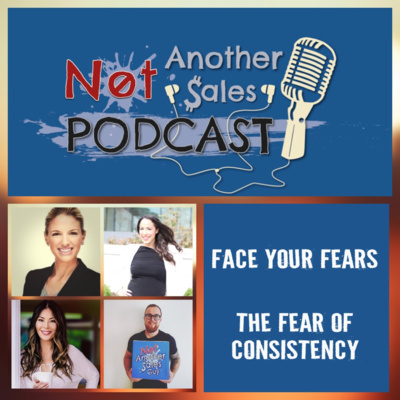 This week’s episode of Not Another Sales Podcast is focused all around the important of empowerment and how it can benefit you and others around you. 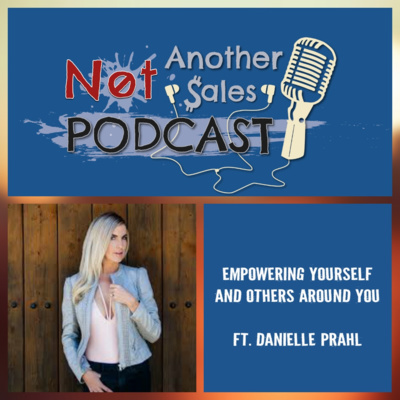 To discuss this, I’m joined by Danielle Prahl, an Online Business Expert + Mentor Host of Rule Breaker Dream Maker Podcast and Amazon Best Selling Author. We’ll be talking about what we mean by empowerment, why it’s important to us and those around us and what stops people from empowering themselves. Danielle will also be sharing some tips on how you can begin to empower yourself more in your daily life. So if you feel like you need more self-empowerment in life, then tune in! There are now a number of positions within a business where coaching is required as part of the job role. This can quite often be an expectation for managers and leaders within the everyday workplace. The challenge here is separating the two; managing someone and coaching them. In the final episode of The Coaching Series, my guests share insights and advice on building coaching into your role and how you're coaching your team effectively. Coaching is not about imparting all your knowledge onto individuals. It's about getting them to uncover the solutions and path, with you there to support them in doing so. One of the important aspects to be able to do this, is asking the right kind of questions to unearth the answers. 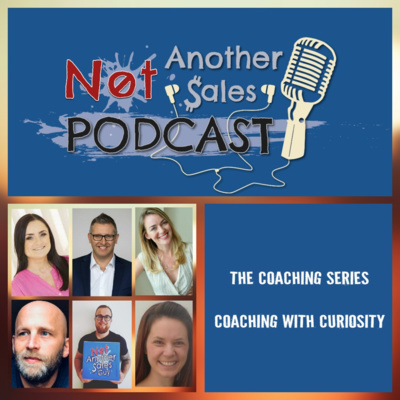 In today's episode my guests share some of the types of questions coaches should use, and also avoid, in order to enable individuals to succeed. One of the key factors to being an effective coach and enabling individuals to succeed through coaching, is building a relationship with them. A relationship where they trust you, believe in what you're encouraging them to do and see it as a positive experience. In today's episode my guests share some of the key things to focus on and develop to ensure you're able to build strong relationships when coaching people to create the trusting foundations for their success. When it comes to coaching, there can be many misconceptions and confusion about what it is and isn't. Some people can believe they are coaching, when in fact they are mentoring, training or even counselling their team/clients. In the first episode of The Coaching Series, my guests will share what approach, in terms of mindset, structure and objectives, you should take to ensure you're coaching individuals when required and knowing when to wear different hats for the non-coaching approaches. When it comes to how we communicate with one another, we are often mindful of what we say and perhaps how we say it. But how much emphasis and intention is put on the body language we emit when communicating and listening to one another. Our body language plays a crucial role in successfully communicating, engaging and understanding situations we find ourselves in. But what should we look for and how do we become mindful and intentional with our body language and how it can impact our mindset? 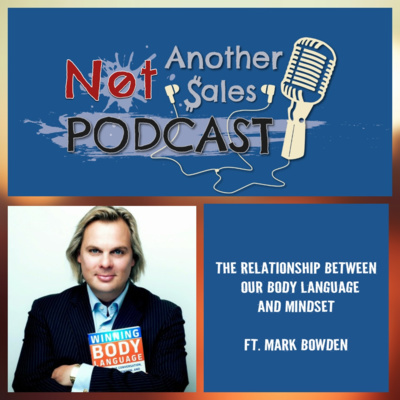 In this week's episode of Not Another Sales Podcast I'm joined by Keynote Speaker, World Renowned Body Language Expert Mark Bowden. Mark will be sharing examples of body language that display how we're thinking and feeling. He'll also be delving into how conscious we are of others body language and how to be more receptive of it to build trust and rapport. We'll be discussing the relationship our mindset and body language have with one another and how one can influence the other. If you want to become more intentional with how you use your body language, as much as you use your words, to communicate effectively and connect with others, then tune in! Whether you've been asked to send an email as an introduction, or all else has failed when trying to reach your prospect, here's 3 things to include in an introductory email to ensure it leads on to further conversations! Our mindset can be our most powerful tool is helping us succeed with what we are focused on. However, when our mindset is not in the place that is serving us, we need to understand ways in which to re-frame it. One of the most effective ways to do this is exercise. Our physiology can have a dramatic positive impact on our psychology; from how our frame of mind can shift, the state we can put ourselves in and the overall "feel good" factor. So where do you start and how do you utilise it? This week's episode features Dietitian, Personal Trainer and Founder of Fresh Fit n Healthy Sarah Grace Spann. 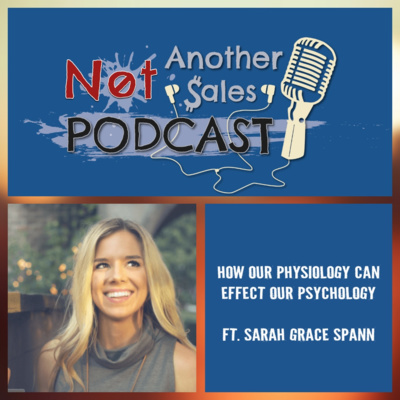 Sarah and I will be talking about the benefits exercise has on your state of mind, why it has this impact and how it can be the best way to change your mood. Sarah will also be sharing tips how you can use exercise, in your daily life, to change your mindset to a positive one. If you want to understand more about how our motion can positively impact our emotion, then tune in! Continuing with the theme of LinkedIn, today's tip is looking at 3 ways you can generate more opportunities through LinkedIn. With the way we interact and engage with one another evolving, platforms like LinkedIn present a great opportunity to generate business like never before. But how do you ensure you stand out and turn likes into business? Here are 3 ways that have worked for me on the platform. In this busy, ever changing world, we can get caught up in a lot of "doing", very focused on our output and also the success we want within our lives. But often are we taking time to question the overall impact we are having in our life, on those around us. Society can make us feel the need to chase the more materialistic things, but there is incredible amounts of value to be found from empowering those around you, so how can you do this? 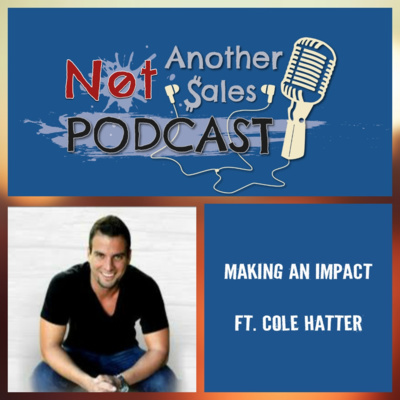 In this week's episode I'm joined by Founder of Thrive, Serial Entrepreneur and ex-firefighter Cole Hatter. Cole will be sharing his life changing stories that became a pivotal moment in his life, leading him to seek more from it. We'll be discussing what we mean by making an impact, how Cole currently practices what he preaches and the value it can bring to your life. They'll also be some tips and suggestions of how you can do the same, both from an individual or business level. So if you feel like you want to have a greater purpose and impact in your life, then tune in! One of the ways in which customers have evolved how they buy, is through social platforms such as LinkedIn. Now more than ever, they can gain an insight into you and your business, even before you realise it. So the question is, what kind of first impression does your LinkedIn profile page create? 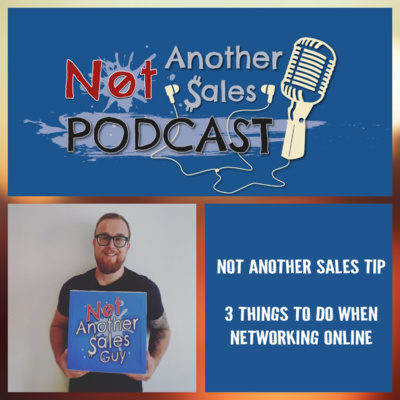 In today's Not Another Sales Tip I give you 3 things to do with your profile that instantly improve your potential at generating business from customers reading through it. When it comes to your existing customers, growing relationships is an important element to strengthening the trust and loyalty from the customer. Energy can sometimes be used up on attracting new customers, whilst existing ones feel wowed initially, then over time, feel like they're better served elsewhere. So how do you continue that momentum with existing customers to grow your relationships with them, leading to continued opportunities and referrals. 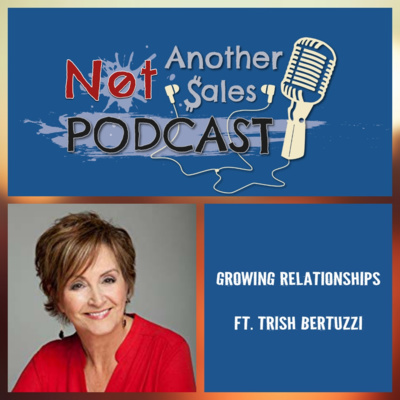 This week's episode of Not Another Sales Podcast features Author of "The Sales Development Playbook," CEO of The Bridge Group, Inc. and Inside Sales Evangelist Trish Bertuzzi. Trish and I are speaking about the traits required to be effective at building trust with your customers. We'll go through the outcomes of doing so, what you should avoid and how you can develop your ability at building relationships. As part of a side series, welcome to Not Another Sales Tip - I've been regularly sharing content through LinkedIn on short tips you can apply straight away. So here's the first in this new series that will be released every Friday in a bite sized format, enjoy! Today is all about 3 things you can do right now when networking online to help become more intentional, engaging and memorable with your audience and community. 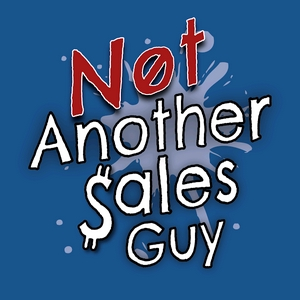 What's the one consistent element in any sale that's ever present? It's "change". People buy because they either want to relieve pain or achieve gain, either way they're buying because they want to achieve a change. Your role as the person selling to them is to understand where they're at and where they want to be. But how do you identify this and then how do you position the concept of change, which even customer's know they may need it, can scare them. 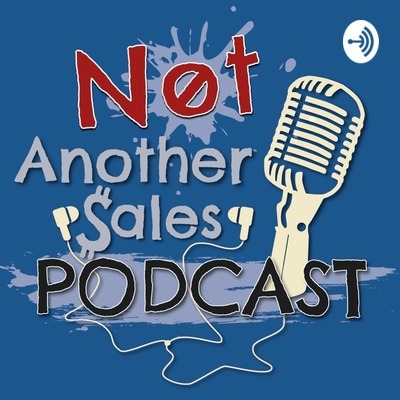 In this week's episode of Not Another Sales Podcast I'm joined by Author of GAP Selling, CEO of A Sales Guy, Forbes contributor & Keynote Speaker Keenan. 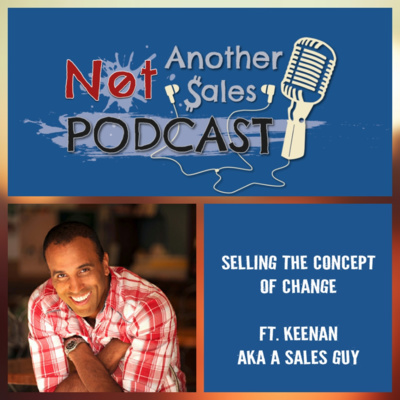 Keenan and I are talking about understanding and positioning change within the world of sales. We're discussing what can be overlooked or misunderstood when doing this, how to make customer's feel more comfortable with it and a tonne of tips to help you sell this concept of change with confidence in every conversation. If you want some great practical tips to enable you in selling effectively then tune in! Change is a common occurrence in our everyday life, yet as humans we can fear and dread it so much! Whether it's career, diet or hobbies, we tend to focus on the actions and skills that we need to change; not the most important place to start, our mindset. Considering the advancements around us in technology,our minds are lagging behind and still stuck in a prehistoric state. So why is this the case and how can we begin to make intentional change in our life, through the way that we think? This week I'm joined by Transformation Coach, CEO & Author of Change your Mindset Change Your Life, with appearances on shows such as Impact Theory, Garrain Jones. 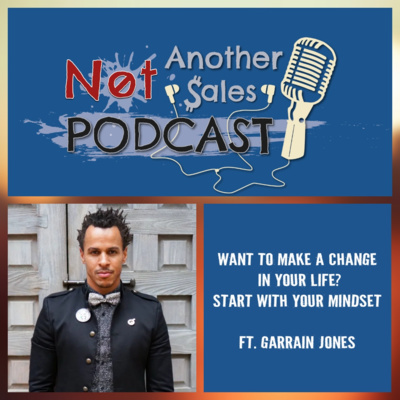 Garrain will be sharing his life changing story of how shifting his mindset has changed his life, whilst also discussing how you can begin to make the changes in how you think. If you hearing the slight scratchyness in this episode, that's Garrain showing his passion when he's talking, so you'll get a sense of that! Be sure to tune in if you want to be inspired and equipped to make effective change within your life! To monetise and grow your passion, you need to build an audience for it; get others to buy into your passion. You need to be able to translate this in a way that means something to those people. Along with this, you may have the desire and goals to start living your passion full time; you love what you do and know to take it to the next level you need to dedicate more time to it. You'll have a number of thoughts and feelings that will be going on, so how to do you make the jump to committing to your passion 24/7? In this final episode of the Passion series I'm joined by Mark Bryant & Rob Smith, Founders of @Mobfit.uk a workplace wellness consultancy, Tom Henson - Founder of @tomsbigeats; food, fitness and travel page with over 150k followers and Craig Sullivan, a property developer and MD of Student House Gillingham @property_apprentice. They'll be talking you through tips on how you translate your passion to your audience and potential customers. Along with this, what you need to think about before taking your passion into a full time business. So you have a passion in your life and you now want to start building it as a business in some form. However you still need to be working initially on your 9-5 job, so how does someone begin to build and grow their passion whilst working their 9-5. In this episode I'm joined by Nodreen Kiwanuka, Vlogger and Founder of Style With Substance @swsblog, Craig Sullivan, a property developer and MD of Student House Gillingham @property_apprentice, Mark Bryant & Rob Smith, Founders of @Mobfit.uk a workplace wellness consultancy and Tom Henson - Founder of @tomsbigeats; food, fitness and travel page with over 150k followers. They'll be sharing their own stories of how they've built and developed their passion around their 9-5, what to be mindful of and tips on how you can do the same. We're inundated with so much content, information and advice growing up about what we should do for work, what we should value, but how do we really find something we enjoy. Something that lights the fire within us. What happens if we're just stumbling through life and looking for more meaning. How do we find something we care about, whether it be something we want to do for a living or just as a hobby. In this episode I'm joined by Mark Bryant & Rob Smith, Founders of @Mobfit.uk a workplace wellness consultancy, Craig Sullivan, a property developer and MD of Student House Gillingham @property_apprentice and myself! We'll be sharing stories and insights on how you can discover your passion and what it may look like, so tune in! When we think about connecting with people, building relationships both online and offline, we think about what we are going to say and ask, but not so much on how we listen to them. A case can be made that listening is taken for granted sometimes, it's not something were taught, yet when we are able to use it effectively, can greatly improve our performance in the world of sales, management and general day to day life. This week I'm joined by Founder of The Sound Agency, 5 times TED speaker (with over 40 million views) and Author of How to be Heard, Julian Treasure. Julian and I will be discussing why the most effective way to connect with someone is to consciously listen to them. 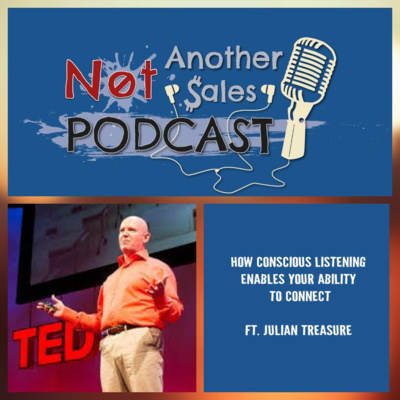 Julian will share what is meant by conscious listening, how it can help in the way you sell to customers and engage with your community. Julian will also share some great tips on how you can improve your conscious listening to enhance every aspect of your life. If you want to raise and increase your understanding of how you can effectively listen to help you within your everyday life and business, then tune in. The world of sales is an ever changing beast. The way in which customer's buy has evolved, even in the last 12 months and looks to continue that way into the upcoming year. A big growth area not just in sales, but society, has been social media, which has seen the way we consume, buy and sell evolve. To stay ahead of the curve we need to adapt and embrace these advancements in social media, but when it comes to social selling, it's far more than what you may first think, and something that will elevate you, if you're able to utilise it. 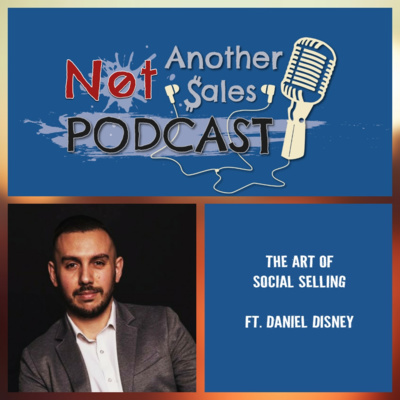 This week's guest on Not Another Sales Podcast is Social Selling Expert, CEO of The Daily Sales Page (which has over 350k subscribers) and Speaker Daniel Disney. Daniel and I discuss what the misconceptions of social selling are, why it's important to build into your sales approach, what to avoid when doing so and some great tips on how to implement it straight away, whether you're a beginner or looking to advance your social selling. If you want to start the year with the insights needed to social selling with impact, then tune in! Stop telling yourself you can't do it, can't afford it, can't complete it. Instead, start asking yourself how can I do it? how can I afford it? how can I complete it? Our brains are like a Google search engine. Whatever you type in, your brain will look to support or answer it. If you're always saying I can't. Well guess what, your brain will find all the reasons to support this! But if you start asking the question "how can I?" then your brain starts working out ways to create a plan. Our self-talk is integral for us achieving success, it's the foundations that everything else is built on. Join me for this episode where I share some tips and a questioning process to start ensuring your self-talk remains positive. Let's a take a Formula 1 race, where every second counts. You can have the best car, mechanics, team etc, but if you don't get a good start off the grid then you're playing catch up for the rest of the race. The same applies for your everyday life; if you don't start it right, then you'll be facing a battle from the off. In this episode I share a handful of tips to be mindful of at the start of the day. Implementing these will see you start your day with positive intentions and set you up for success. We all have a variety of thoughts and emotions that can limit us being present or achieving our potential. To overcome these thoughts or "head trash as one of my guest's Jackie Hermes put it, you can use something called Clearing the Space. It will allow you to be present in the moment, identify what is at the heart of your worries and ensure you're performing at your potential. In this episode I share with you 3 steps to action this to help you unclutter your mind. The world we live in is constantly evolving, with new advancements in technology and society, all impacting how we live our lives. These advancements are helping support us in our growth and success, but before we can truly utilise them, we need to start by looking within ourselves. It's very easy to get caught looking externally for the answers of success, but it all starts with you, the traits you were born with and the ones you can develop to shape a mindset for success. Join me this week with my guest; Founder of VU Dream, Host of Humans 2.0, a top 100 podcast, Mark Metry. Mark and I will be discussing what we need to focus on and develop to shape a mindset that will enable us to succeed in life, whatever your goal may be. We'll be sharing some actionable tips to start implementing in your everyday life and sharing insights that will enable you to enhance your perception of what you're truly capable of. If you want to understand more about what you're capable of, with the right approach and mindset, then tune in! Have you ever tried to start a new diet plan, take up a hobby or even attempt to change the way you do something in your business? Do you find yourself at the start you're enthused by it, but then over time it seems to drop off and you're back to where you started? Chances are, with new year around the corner, a lot of you have some resolutions in mind. But did you know by February 84% of these new year resolutions have been broken. The aim of all of this is creating new habits within your life, whether they be personal or business, but how do we truly create habits but help us perform and reach our potential? Also why is it that we find it so hard to make these changes stick? To do this we need to go through a journey of true transformation, but where do we start and what does that consist of? Join me this week with my guest; Founder of High Performance Health Academy, personal trainer , mountain runner and American Ninja Warrior Dan Holguin. 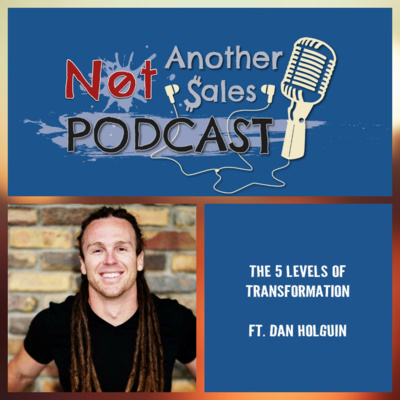 Dan and I will be talking through the 5 layers of transformation that Dan has found to be a proven way to understanding how transformation can truly be achieved, ensuring you're equipped with high performing habits. Dan will be sharing some actionable tips for each layer and giving you some great insights to further understanding the process of creating habits. Dan also shares his life changing and emotional story that has led him to where he is today. If you want to understand more about how you can make the changes in your life that are supported with high performing habits, then tune in! With world now becoming so crowded both online and offline, how do you ensure you stand out, communicate your purpose and translate your passion? You share your story with your audience. Storytelling as previously discussed (episode 7) is a powerful way to communicate a memorable message. But from a personal perspective, what can you gain from sharing your story consistently throughout your journey? 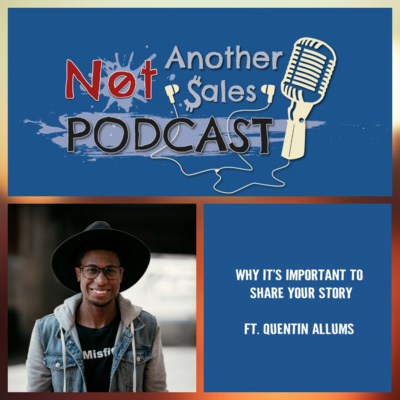 Join CEO of Urban Misfit Ventures, Brand Strategist and Storyteller Quentin Allums Aka Just Q and I for this week's episode of Not Another Sales Podcast. Quentin will be sharing his perspective on why it's important we share our stories and how to tackle the fears that get in the way of doing so. We'll also be discussing how the advancements in technology have made it even more vital to showcase your difference and your purpose. If you want to understand how you can begin to share your personal story through your business or career, and do it in a way that gets people to buy into you and ensure you're memorable, then tune in! We are so busy these days "doing", that we very rarely take the time to reflect. This type of approach can mean we are constantly chasing our next goal, without actually being grateful for what we currently have. This can lead to an endless chase for things that will never truly make us feel content. To overcome this, gratitude is an essential aspect to understand and regularly practice. Gratitude is our emotion that relates to our ability to feel and express thankfulness and appreciation. But how do we become more mindful of it and utilise it on a daily basis? 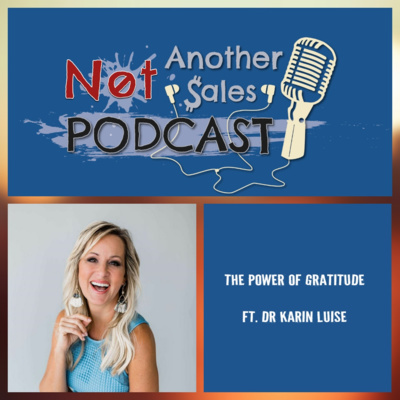 On this weeks episode of Not Another Sales Podcast I'm joined by Award winning Author, Host and Speaker Dr Karin Luise. Karin and I will be discussing what we mean by gratitude, how it can have a positive impact in both our everyday lives and business. We'll also be sharing some practical tips on how you can begin to focus and practice it on a regular basis. Karin also shares her story, including how she transferred her pain into her purpose and how she believes anyone can break their own internal narratives for the better. If you want to better understand how to be more mindful and appreciative of what you have, rather than just want you want, and how it can benefit you, then tune in! When scrolling through your social feeds, you'll come across the word "influencer" in someone's summary or a discussion on being an influencer. Influence is essential to your long term success, whether that's in your career or growing a business. Influence can't be demanded, it must be earned. Influence comes down to knowing where you want to go and being able to inspire and motivate others around you to help you push towards that destination. But how do you go about growing your influence to get others around you to buy in to your vision and your solution? 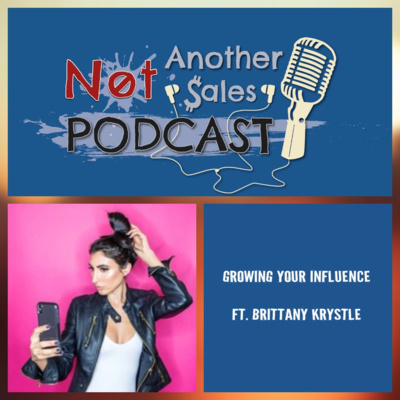 On this week's episode of Not Another Sales Podcast I'm joined by Personal Branding & Growth Expert, Beyond Influential Podcast Host, Brittany Krystle. We'll be discussing what we mean by influence, the mindset needed to grow your influence and why it's important. They'll also be some insightful and practical tips for you to use on growing your influence to achieve success, whether that's amongst your peers or to a greater audience. If you want to get a true understanding of influence and how to grow yours, then tune in! So you've got a clear niche, you're confident in how you present and know you resonate with your audience, but how do you go about actually getting in front of them in a proactive way? As a speaker, you can have all the talent and knowledge in the world, but unless you're looking for opportunities to speak, you will stunt your potential and opportunities. Getting in front of your audience is fundamental to your impact and success as a speaker. Your personal brand plays a part here, but you also need to looking for opportunities, rather than just waiting for them. 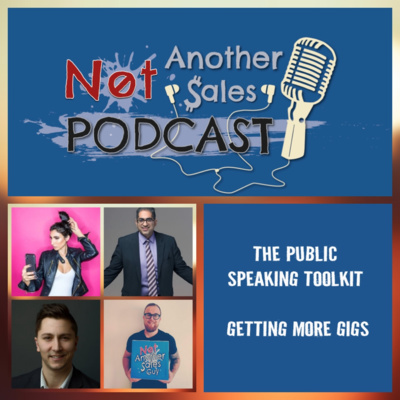 In the final episode of the Public Speaking Toolkit week on Not Another Sales Podcast, I'm joined by Personal Branding & Growth Expert Brittany Krystle, CEO & 5x TEDx Speaker Bobby Umar & Marketer & LinkedIn Content Creator Fabio Marrama. If you want to get some great tips to gaining more speaking gigs, both online and offline, to ensure you increase your exposure and experience, then tune in! The sign of a great speaker isn't just how they make you feel and think when in front of you, but also what you recall about them following their speech or video. Being memorable is a golden thread throughout all the great speakers of history and present day; how people are able to recall their talks, their messages and how they made them think and feel about topics. Being memorable is vital to speaking, without it you won't see a continued return of your audience online or recurring bookings offline. Being memorable is how you make the real difference as a speaker. To talk about this I'm joined by Marketer & LinkedIn Content Creator Fabio Marrama, CEO & Speaker Jackie Hermes & CEO & 5x TEDx Speaker Bobby Umar. If you want to ensure you're making a lasting impression with your audience and always being front of mind when it comes to a speaker they want to listen to, then tune in for this! We can be an expert in our field, we can communicate our thoughts in a conversation, but then as soon as we get in front of camera or on stage, it all changes. It's not our knowledge that lets us down, it's the thoughts racing through our head of worst case scenarios or what others will think. Stage fright is common, but as a speaker it's vital to overcome to be able to be your best and authentic self. 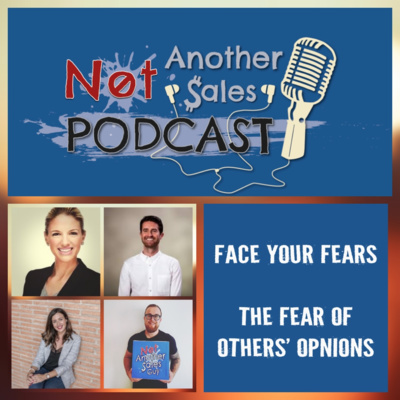 Today's episode features Professional Speaking Coach & Writer Sarah Jo Crawford, CEO, Brand Strategist & Storyteller Quentin Allums & Speaker, Marketer & LinkedIn Content Creator Fabio Marrama. 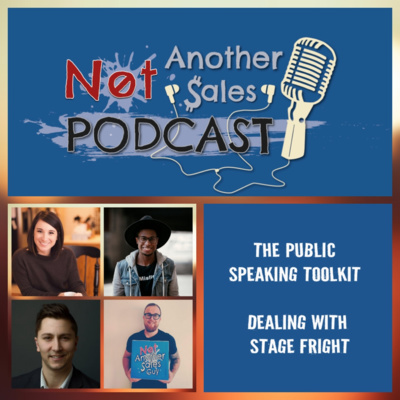 If you want to know how you can begin to overcome your stage fright, meaning you'll be more relaxed, authentic and in turn allow the audience to relax and enjoy your content, then tune in! Before you have an idea of someone wanting to book you as a speaker, they've probably done their homework; watched some YouTube clips, read your blog, seen your LinkedIn profile. So the question is; what does all of this content say about you; is it how you want to be perceived and is it consistent? This is just an example of the elements that make up your personal brand; how people see you/talk about you when you're not in the room. Without a strong personal brand you'll miss out on opportunities without even knowing they existed and also struggle to build a strong interest in the content you're sharing! 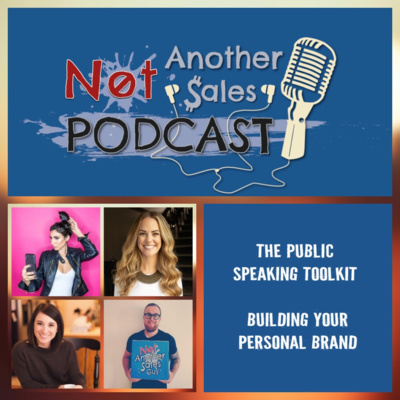 In today's episode I'm joined by Personal Branding & Growth Expert Brittany Krystle, CEO & Speaker Jackie Hermes & Professional Speaking Coach & Writer Sarah Jo Crawford. If you're looking to build and grow your personal brand to ensure you're creating first impressions that get you noticed, people captivated and more interest in hearing you speak, then tune in! With the world in which we live in now, it's never been easier to share our opinion and get our voice heard and face seen. Public speaking in no longer just reserved for the well known and famous; anyone with a camera phone can begin to hone their craft. But with this comes some important questions; how do I stand out from the crowd? build my brand? get more confident with speaking? be more memorable? get more speaking opportunities? 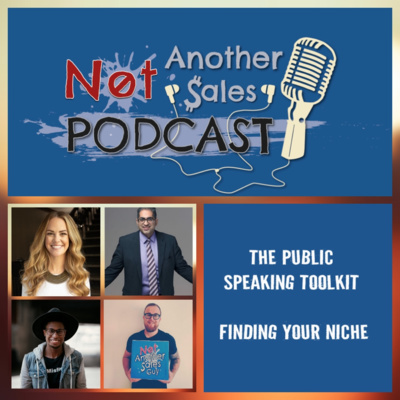 All of these questions are answered on this week's daily podcast editions of Not Another Sales Podcast - The Public Speaking Toolkit. 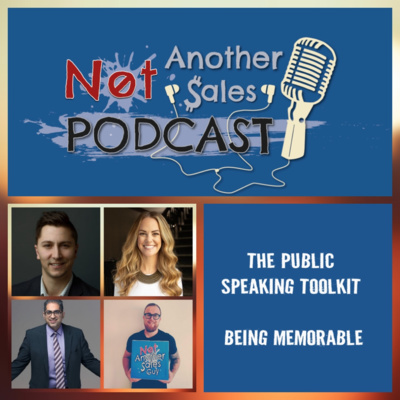 Each day you'll receive some great insights and tips from three different guests ensuring you succeed with your public speaking, both online and on stage. The first episode is focused on finding your niche! The challenge that comes with it never being easier to become a speaker in some format, is how busy and crowded some spaces can be. So therefore it's essential you define your difference; both for your own benefit to decide who you want to resonate with and from the audience perspective, why they would want to listen/watch you. In today's episode I'm joined by CEO & Speaker Jackie Hermes, CEO & 5x TEDx Speaker Bobby Umar & CEO, Brand Strategist & Storyteller Quentin Allums. If you want some great insights on how you can define your niche, ensuring you are able to stand out from the crowd and be clear on the direction you're heading in, then tune in! o productivity can be seen by many as something that's very focused towards skills; having lists, planners etc, but I believe it all starts with having a productive mindset - gives you clarity for your strategy "I'm so busy, I haven't even had time to think today" - sound familiar? You have so many things on a daily basis, both in life and business, that you feel you need to do. You spend all day “doing” things and running around. Then suddenly it’s 5pm and you’re finishing for the day and you think back and feel you've not really got what you wanted done. How did that happen? I’m guessing you’ve experienced this before, maybe more often than you would like to admit. You feel like you’re “working” all the time but never progressing or completing things. It’s not down to being lazy or not being motivated to achieve your goals. It’s because of your mindset. Join Entrepreneur, Bestselling Author of "Is Your Business Worth Saving?" 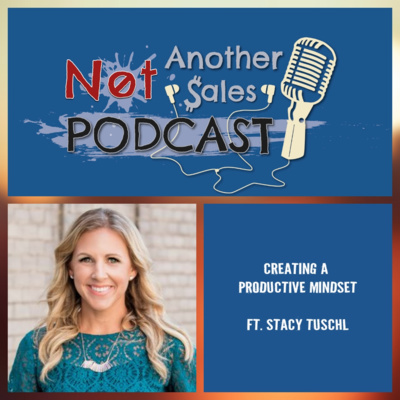 & Podcaster Stacy Tuschl and I on this week's episode of Not Another Sales Podcast to talk all about creating a productive mindset. Stacy and I will talking about what attributes and traits go into cultivating a productive mindset and how it's more than just having a strategy or good organisation. We're also sharing some of the biggest productivity killers that get in the way and how you can become more focused on developing and maintaining a productive mindset. If you're constantly feeling like you're always busy, but not getting the output from your input, then tune in! Being seen, both in person and on video, is an essential part in growing your brand, both personal and business, in today's busy and crowded marketplace. But there are so many of us that fear the thought of getting up on stage or in front of a camera to do this. When you look at what stops or makes us fearful, all of it starts in the mind. So if you want to become more comfortable and confident at talking out loud in front of people, you need to start with the inner voice. 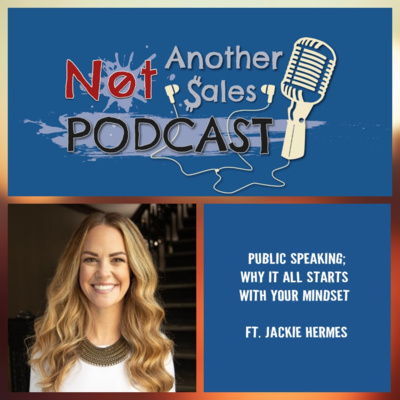 In this week's episode I'm joined by CEO, Speaker and a growing influencer in the world of LinkedIn Jackie Hermes. Jackie and I will be talking about why it's essential to focus on your mindset and behaviours towards public speaking before the practicality and skills of doing it. We'll also share our thoughts on what some of the greatest speaker's in the world possess and how you can become more confident and comfortable with public speaking, whether that be to 1 or 100 people or on camera. Jackie will also be sharing her story so far, including what she's learnt most about herself along the way. How do I attract new customers? This is a common question you see asked and answered on daily basis. There's always some new ways of doing this, with the power of technology and social supporting this. But how often do you ask this question within your business; how do I work out who I shouldn't work with? You see when you are only looking at how to attract new customers, and not enough time focused on spotting those you shouldn't work with, you will face challenges further down the road. In this week's episode I'm joined by CEO and award winning social media marketer Rachel Pedersen. We'll be talking about firstly why you should look to avoid trying to work with everyone, the pitfalls of doing so and how you can become more equipped to identify the types of customers you should avoid working with. Be sure to tune in, to be equipped with ways to spot the wrong type of customers and how it will benefit you in the long run! A hot topic of debate is always what habits, behaviours and skills contribute towards making people successful. One of these elements that sets the successful apart is rooted within human psychology. It centres around 3 A's; Acceptance, Attention & Approval and how high value human beings are able to give this versus beg or compete for it. I'm joined by John Sanei, best-selling author, global speaker and trend specialist with a holistic approach to achieving future-readiness. 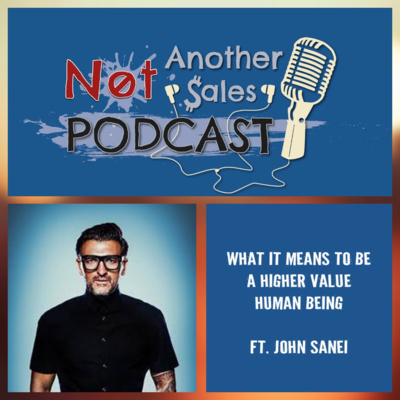 John shares his definition of what it means to be a higher value human being, how it's essential to our success and why we're not all able to make the instant choice to become one. John will also be sharing his story, coming back from bankruptcy, what inspires him and his purpose. So if you want to take a deeper look and understanding into how you can work towards becoming a higher value human being and what it can bring to you in terms of success and enlightenment, then tune in. "A boss has the title. A leader has the people" Simon Sinek. Leadership is something that is still very misunderstood, particularly what actually goes into making someone a great leader. We can all recall in our careers, some great examples and equally bad ones of leaders. So what exact ingredients go into making the recipe for great leaders and how do we begin to start focusing and developing these, to become great leaders ourselves? 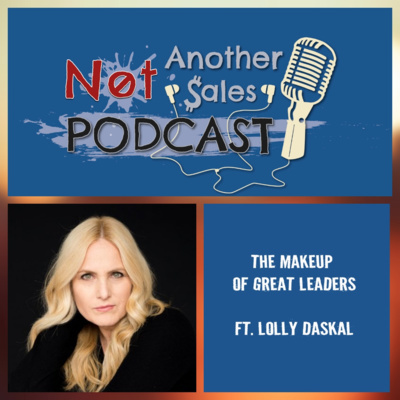 This week I'm joined by Best Selling Author of The Leadership Gap, TEDx speaker and Executive Coach Lolly Daskal. Lolly and I will be answering this question of what a great leader, what we need to draw from within ourselves to lead, what are the biggest blockers to preventing people from becoming great leaders and how you can begin to develop your leadership skills, which will align you to becoming a great leader. This is for anyone, whether you're in a leadership position or not, who feels they want to inspire and empower individuals around them. You may scroll your social media feed each day and see numerous posts designed to motivate and inspire you. You probably see the #motivation on a daily basis, but what does it really mean to be motivated? Mel Robbins says motivation is never there when you need it and this is down to the lack of understanding of what motivation is. There are myths of motivation that need clarity to ensure motivation is seen and used in the right way. 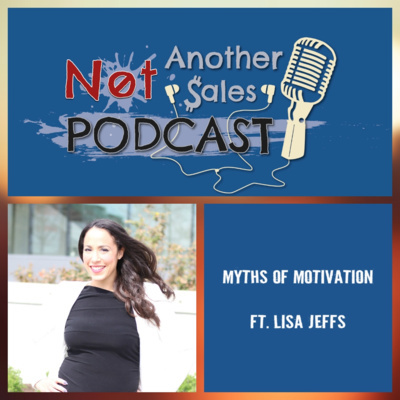 In this episode I'm joined by Success Coach and Writer Lisa Jeffs. Lisa and I are going to be delving into the meaning of motivation; why people struggle with a lack of it at times, the myths surrounding motivation and how you can become more effective at understanding motivation and how to use it. Lisa will also be delving into her story of what she's learnt about herself along the way and what her intrinsic motivators are. If you are looking to increase your awareness of motivation, to truly understand it and how to utilise it, then tune in! We are creatures of habit. We feel safe when we know what is going to occur is our daily life. When this feeling of security and the known is challenged by the perceived uncertainty and the unknown, we become uneasy and unsure of how we should react. Having the fear of change can have some strong negative impacts on our life, stopping us from exploring what we're capable of. 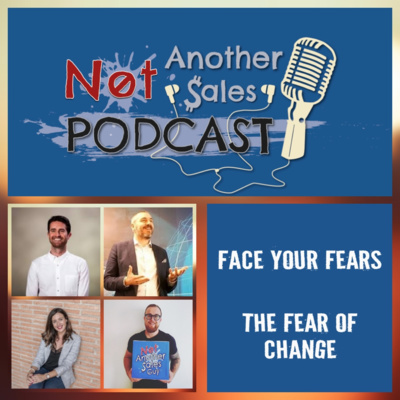 In the final instalment of Face Your Fears week, I'm joined by Founder of Mindful Talent and Executive Coach Alister Gray, Change Specialist & Head Coach at imachangemaker.com Andrew Tilling and NLP Practitioner and Coach Sarah Gregg. They'll be sharing some unmissable actions you can take to become more equipped at dealing with change and also altering your perception of change. If you feel like you consistently struggle to deal with change and sometimes resist it, then this episode is for you! Inspiration can occur at any point. We can be watching a YouTube video, talking to friends or have a eureka moment in the shower. This inspiration can lead us to starting something, whether that's a diet or launching a business. Great we've started, but how many times do you start something only to fall back into an old habit. Did you know 80% of new year's resolutions are broken by February! Our lack of consistency can make it hard for us to stay the course and can therefore sometimes lead us back to square one. In this episode I'm joined by Sales & Leadership Coach Dee Mullin, Success Coach & Writer Lisa Jeffs and Sales and Career Strategist Christine Sarno. They'll be sharing some great insights and ways of dealing with this fear of being consistent, how you can ensure you maintain what you have started,therefore creating the habits to support this. If you always find yourself starting something new, only to find yourself a few weeks or months later giving up on it, then tune in! Do you have something you keep putting off? Something you think you need more time to research or know more about? Is this a common habit that you find occurs regularly. This habit of overthinking is common within many of us as our brains are wired to protect us from perceived danger and to survive. Therefore we can become trapped in our thoughts of all the reasons why we shouldn't do something, which can mean we miss out on opportunities and fulfilling our potential. 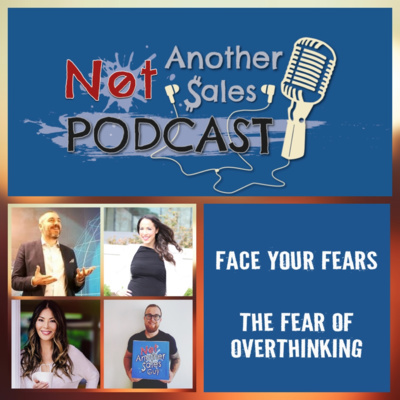 Today's episode focuses on this very fear of overthinking and I'm joined by Change Specialist & Head Coach at imachangemaker.com Andrew Tilling, Success Coach and Writer Lisa Jeffs and Sales and Career Strategist Christine Sarno. 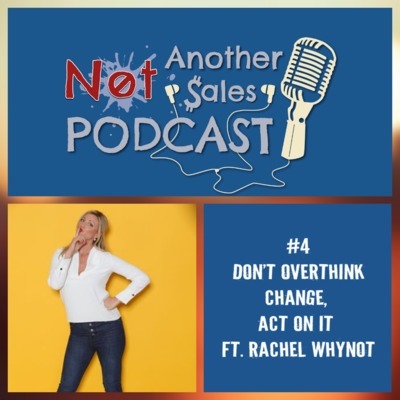 This episode will provide you some actionable insights into dealing with the process of overthinking and how you can prevent yourself from getting caught in the trap of it. If you're constantly overthinking every scenario, putting things off, thinking what could go wrong, then tune in! The fear of failing is a common reason as to why we never start something, whether it be a passion or a business. We're naturally fearful of the unknown, with our mind creating all the possibilities of what could go wrong and also the fear of how we'll feel at the end of this. It can be crippling this fear and it can also be damaging when we do have perceived failures occur in our life. In the second instalment of Face Your Fears week, I'm joined NLP Practitioner and Coach Sarah Gregg, Change Specialist & Head Coach at imachangemaker.com Andrew Tilling and Founder of Mindful Talent and Executive Coach Alister Gray. 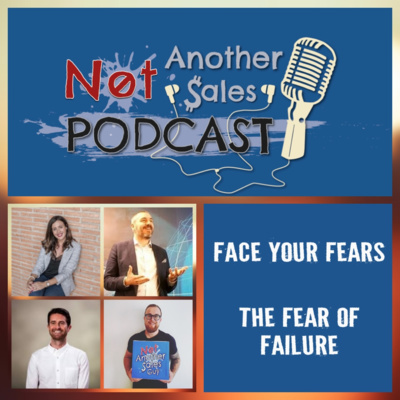 My guests on the episode will be sharing their perception of why we sometimes have this innate fear of failure, where it stems from and most importantly how you can overcome this. If you are constantly worried about the end result or your perception towards failure being of a negative one, then tune in. On a daily basis we directly and indirectly engage with people whose opinions may influence how we go about living our life. These opinions can be at times valuable, however we can also get into a state where we are constantly fearing what other people think and therefore not being able to be our true selves. We can go about life sometimes with a facade to as a result of this which provides no fulfilment and growth. In the episode today I'm joined by Sales and Leadership Coach Dee Mullin, Founder of Mindful Talent and Executive Coach Alister Gray and NLP Practitioner and Coach Sarah Gregg. They'll be providing you with some great insights into becoming more effective at dealing with other people's opinions and how you can become more mindful of how and who you spend your time with, to be able to get over this fear. If you feel like you're constantly worried about others opinions of you and your actions, then tune in! We are educated about numerous things throughout life, but at no point are we really taught about how to truly understand or manage our emotions, if anything only on how to hide them. Emotions are actually neutral, they are neither positive or negative, it's our perception of them that pigeon holes them into either of these. All of our emotions are designed to support and aid us in some way, but to be able to utilise that we must rewire our thinking around them. 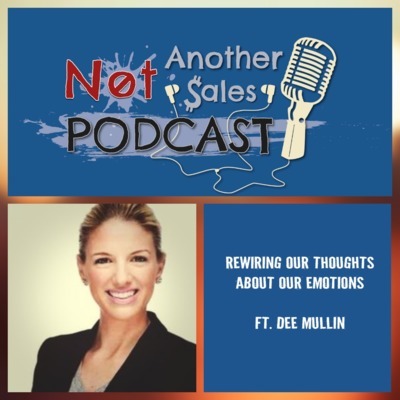 This week I'm joined again by Sales and Leadership Coach Dee Mullin. Dee and I will be discussing in further detail why we have a misunderstanding of our emotions, some examples of where this very fact can impact us in a negative way and how we can begin to rewire our thinking around our emotions to ensure they serve us in a positive way. If you want to get some great insight and understanding of your emotional intelligence and how you can manage and understand it more effectively, then tune in! As people we want to feel appreciated, enabled and valued by others. We expect nothing different in our career, but we have all experienced at some point, leaders who seem to miss the mark on this. There are a number of attributes that make great leaders, but one of the key ones is a leader knowing he doesn't always have to be the smartest person in the room. You see when leaders encourage others to shine, play to their strengths by letting others around them utilise their own, they lay the foundations for success to be built on. 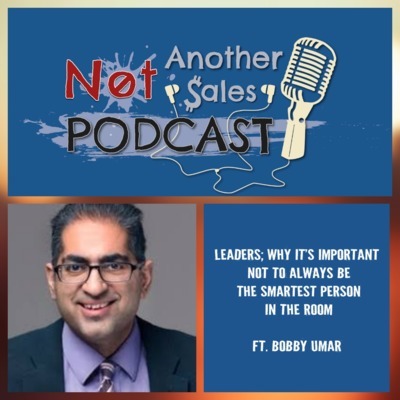 In this episode I'm joined by CEO, Keynote Speaker and 5x TedX speaker, Bobby Umar. Bobby and I are going to be discussing why it's essential leaders realise they don't always need to be the smartest person in the room, the impacts it can have on them and those around by ignoring this, along with how you, as a leader, can become more aligned to this. For anyone in a leadership role or looking to move into one, this episode is not to be missed! With the world of social now, there is a limitless level of opportunity to engage and meet people virtually you would have the chance to years ago. Part of growing your brand is building your network, engaging with likeminded individuals, who are either buying from you or becoming part of your circle, who will provide the right environment to grow. This week's episode features one of the heavyweights in the podcast world, John Lee Dumas, host of Entrepreneurs on Fire, an award winning podcast where he interviews inspiring Entrepreneurs. With over 2000 episodes, 1.3 million listens every month, and seven-figures of annual revenue, JLD is just getting started. 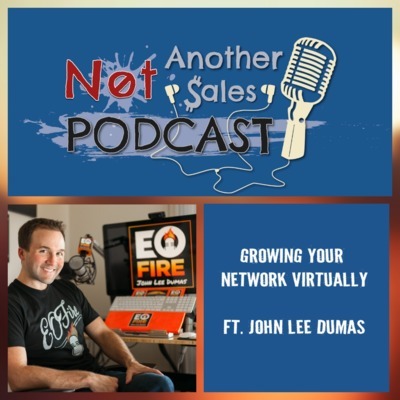 John and I will be talking about the do's and don'ts of growing your network virtually, with John also providing some great insights into how he went about growing EoFire, the biggest story that stuck with him and what he learnt along the way. 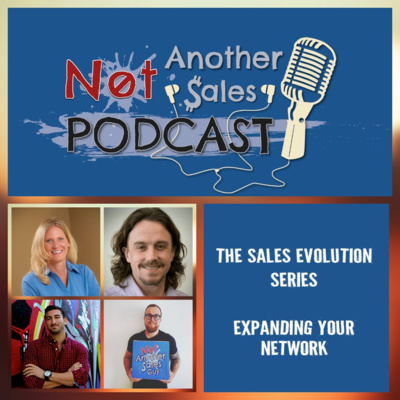 If you want some great practical advice into growing your network, then tune in! So you've got an idea, a passion or perhaps you're just starting out in the early days of running your own business. The next step is creating and growing the brand of the business. Your brand symbolises what makes you different, why people want to engage and buy from you. It epitomises everything that you are and therefore you need to have a real purpose behind your brand to succeed. 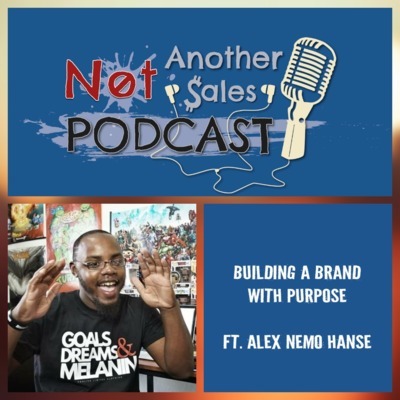 In this week's episode I'm joined by Founder and CEO of Foolies Clothing, Alex Nemo Hanse, who also featured recently in Gary Vaynerchuk book, Crushing It. Alex and I are going to be talking about what the essentials you need to starting and building a brand, how you can do this whilst still working your 9-5 job, tips on growing your audience and what other insightful tips Alex has picked up along the way. If you've just started a business, or are thinking about it, and want to know how to build a strong meaningful brand, which will separate you from others, then tune in! Change doesn't happen in an instance, it's a process over a period of time. But that process isn't always going to be easy. There's going to be times when you feel like quitting or that you've taken a step backwards. Patience is integral to change in the long term, but so is consistency, in the short term. It will take time, but you need to be consistent over that time, whilst having the patience to remind yourself it won't be instant. 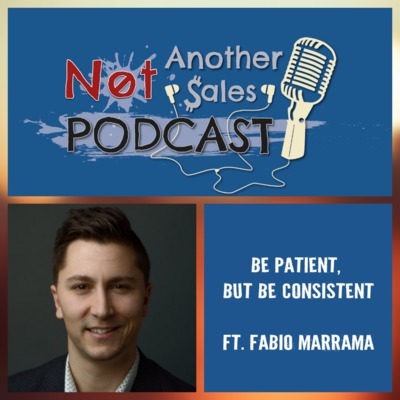 In this episode I'm joined by Top 40 Under 40 Award Winner, Digital Marketer and Speaker Fabio Marrama. Fabio and I are talking all about why we need to practice the combination of both patience and consistency when going through a change in our lives. We'll be talking about why both are equally important, what challenge arise if these skills are not observed and how you can become more effective at utilising them. So if you're going through change or thinking about it, whether it be a new hobby, business or career step up, tune in! Having a clear vision and goals are important ingredients for success, but these alone are not enough. You need to have a plan of how you're going to execute on these goals and most importantly hold yourself accountable to doing so on a consistent basis. Being accountable ensures you remind yourself regularly you're in control of your own success, to focus on what you can control and ensure you don't let it slip. In this week's episode I'm joined by Lauryn Evarts Bosstick, Founder of The Skinny Confidential, a world renowned blog and brand, empowering women to be the best version of themselves. 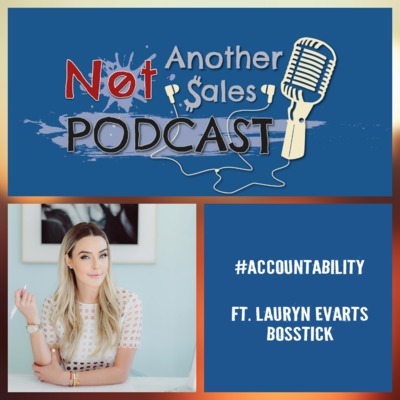 Lauryn and I will be talking about why some people don't hold themselves accountable, why it's fundamental you do so and how you can focus on holding yourself more accountable. Lauryn will also share her biggest learning curves whilst building The Skinny Confidential, how she held herself accountable and advice for those looking to build something of their own. Be sure to tune in! The road to success can be a challenging one, whether that be building a business or taking up a new hobby. You're going to face tough times, days where you find it hard to stay focused and times when you may wonder if you're capable of achieving your goals. To be able to deal with this you need to ensure you have a passion for what you're doing, a clear understanding within yourself of why you're pursuing something. It may take some time to find your passion and that's ok, it's natural, but once you do, it's important you become clear on how you can live it. In this week's episode I'm joined by Speaker, Coach and Entrepreneur Regan Hillyer. 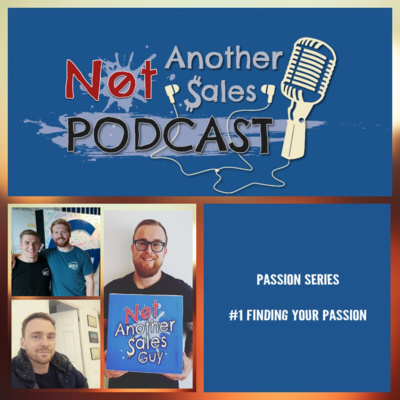 Regan and I will be talking about why it's important to find your passion, what can get in the way of this, how you can begin to live your passion and how you can get others to buy into your passion. Whether you're still searching for your passion, or have found it and want to become clearer on how to embrace it, then tune in! We live in a world now where we can access information within seconds and find numerous companies offering a solution to our problem within a few clicks. This has resulted in a shift in how people buy, not just when compared to 5 years ago, but even in the last 1. Due to the advancement in technology, the need to evolve how we sell is now more evident than ever. 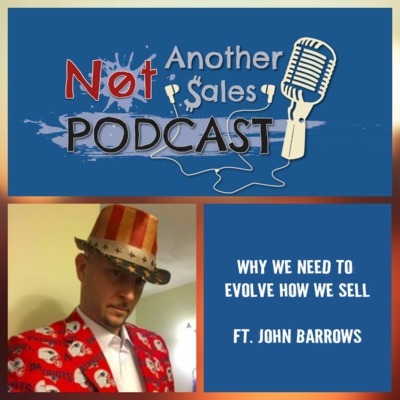 In this episode I'm joined by Founder of Jbarrows Sales Training and Sales Trainer to some of the world's largest growing companies, John Barrows. John and I will be discussing why we need to evolve how we sell, the challenges that we're faced in doing so and most importantly how you can begin to evolve how you sell, whatever the product or solution is. If you're thinking you don't need to, as your industry isn't impacted by this, or your customer's don't think that way, then you're already on the way to losing out. If you want to ensure you stay relevant and ahead of ahead of the evolution, then tune in to this episode. If you're reading this right now, then like many other people, you feel like your destined for more. Whatever that may be, whether it's your career, starting a business or giving back to the world in some way. So many of us think this, but how do we unlock this potential for greatness. How do we get on that road towards evolving ourselves and fulfilling what we believe we're capable of. 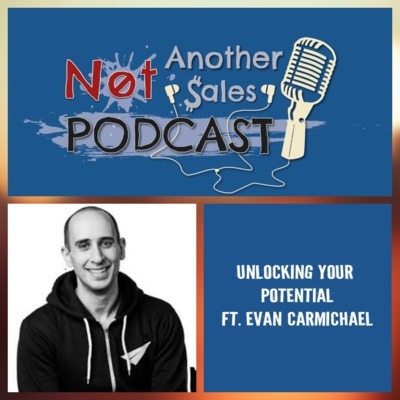 If you have these questions, then tune in to this episode where I'm joined by Entrepreneur, International Speaker and YouTuber with over 1.4 million subscribers, Evan Carmichael. Evan and I will be talking about the first steps you can take to unlock your potential, what gets in the way of people doing and Evan's aim to inspire others to greatness. If you want to understand more about how you can unlock that inner greatness within, then tune in! The world of selling is a challenging place and one where you need to constantly be thinking about your next step and how you're going to succeed. But, in doing so, you could be falling into the trap of making some common sales mistakes, that will also be your blocker to success. In this weeks episode I'm joined by Master of the Persuasive Arts, Sales Guru, Corporate Bro. 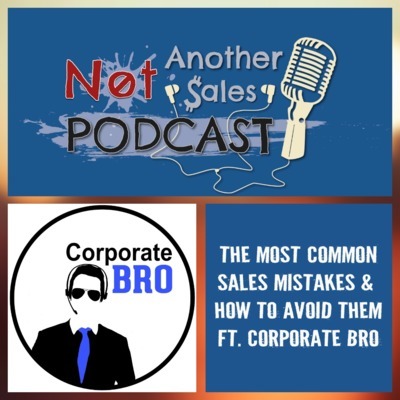 Corporate Bro and I will be discussing what we see as the most common mistakes made when selling, why do people fall into this trap and most importantly, how to avoid them. We'll be looking at this from a sales individual and management perspective. 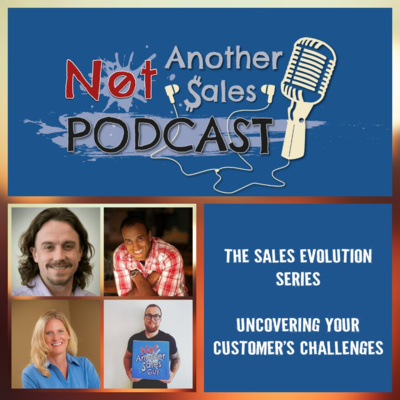 If you want to understand the most common sales mistakes to avoid, make sure you aren't committing them, and if so how to avoid them, then tune in to this episode! Personal brand plays a vital role, now more than ever, of helping you differentiate yourself in a crowded and competitive world. Your personal brand is the means by which people remember you and a vital element to helping you achieve success. Ask yourself, "what does my current personal brand say about me?" and "what do I want to be known for from my personal brand?". If they're not aligned, then this podcast is for you. 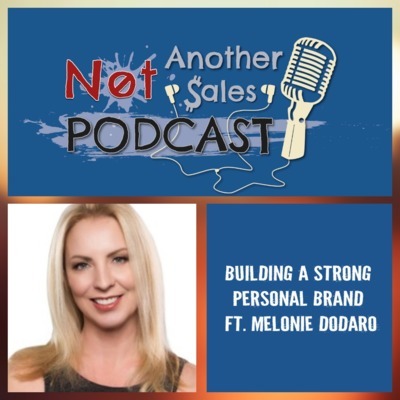 I'm joined by CEO, Social Selling Expert and Bestselling Author of LinkedIn Unlocked (#1 on Amazon) Melonie Dodaro. Melonie will be sharing her experience and thoughts on what is needed to build a strong personal brand and some practical tips you can implement straight away. If you're looking to gain a greater insight into personal branding and ideas on how you can continue to strengthen yours, then tune in for this episode. Henry Ford once said "whether you believe you can or you can't, you're always right". Belief is the integral foundation we need to be successful in whatever we do. However, if these beliefs aren't positive or constructive ones, they can sometimes limit our potential if they're not questioned by us or fully understood. Limiting beliefs need to be challenged and turned into limitless beliefs, for us to be able to succeed. This week I'm joined by NLP Practitioner, Coach and founder of The Power to Reinvent Sarah Gregg. We're looking at how you can overcome those limiting beliefs you have in your life. We'll be defining what we mean by limiting beliefs, how you can spot them, what impact they're having on you and some practical ways to start overcoming them. If you feel like your thoughts and beliefs are holding you back from making a change or progressing, then this episode is for you. Tune in and get some actionable ways to start tackling those limiting beliefs. The world of selling is a crowded, noisy and competitive space. There's so many options and ways in which the customer can buy. There's also an overload of info when it comes to how we should sell; endless amounts of models, 5/10/20 step processes. To stand out in this world of selling, making the complex simple, is what will make you stand out. 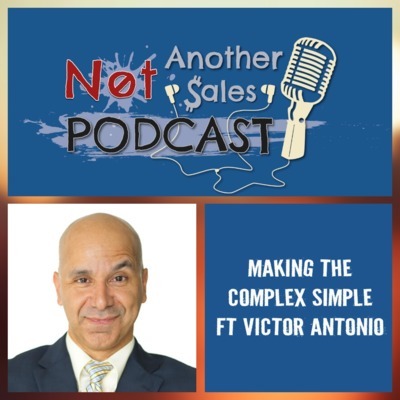 In this episode I'm joined by Victor Antonio, Keynote Speaker, Sales Trainer and Author of Sales Ex Machina: How AI is Changing World of Selling. We're talking about how we can sometimes make the mistake of making the simple complex, why sometimes people do it intentionally and how you can become more effective with simplifying the complex, whether that's what you sell or how you sell. Victor will also be sharing his story of success and what his intrinsic motivation is, that drives him everyday. If you're wanting to make sense of this complex world of selling, then tune in. As human beings it's easy to get lost in our everyday life of just "doing". We can be quite clear on what we do, but not so much on who we are. It's important to understand your worth, from a career and life perspective to ensure you're able to reach your potential. This week I'm joined by Heather Wilde, Unicorn Whisperer and CTO. 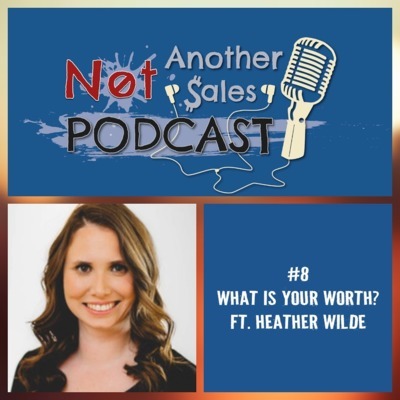 Heather played a role in founding Evernote, which is used by over 300 million people around the world and Spirit Airlines, the No. 1 airline in America. We'll be talking about the importance of knowing your value and why it's important to be able to understand and articulate who you are. If you want some great tips on how to get a greater understanding of this, then tune in! To be successful, you need a strategy, but the key foundation to establish first, are the goals you want to achieve. You can't train for a race that you don't know the distance of, in the same way you can't succeed without knowing what you want to achieve. To do this you need to be clear about setting goals, which in itself is an art. 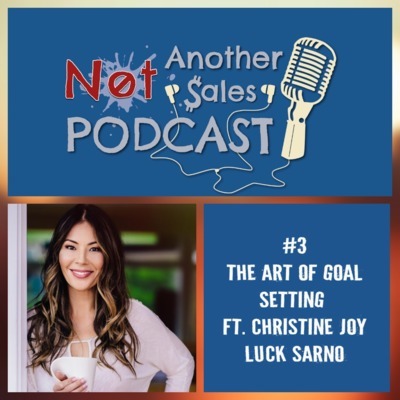 I'm joined by Christine Joy Luck Sarno, Sales and Career Coach, award winning sales and advertising powerhouse with 20 plus years of leadership experience. We're discussing everything related to the art of goal setting; why we should set them, the impact of not having clear goals and why we find it hard to stick to them. We'll also share some practical tips on how you can become more clear on how you set, stick and act on your goals. Christine will also be sharing her motivations and the pillars of her success. So if you're thinking you need to become clearer on your goals, how you ensure you set meaningful ones and want to push yourself, then tune in. Stories are something that we can so easily remember, whether it be our favourite film or book, but how often do we use them in our role. The most effective way for us to retain information is through stories and can be a influential way to engage with and sell to people. In this episode I'm joined by my guest Sarah Jo Crawford, professional speaker and founder of Sparkworth. 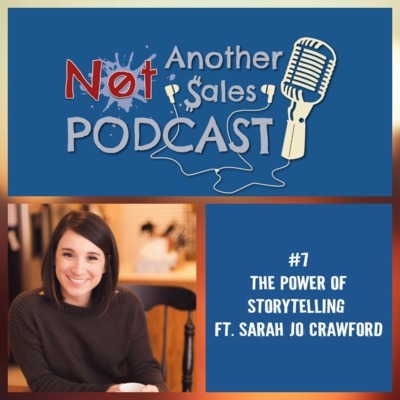 We're taking you through the power of storytelling, giving you examples of how it's used well within sales, why it helps us sell and the pitfalls when it's not done in an effective manner. They'll also be suggestions and ways in which you can become better at utilising storytelling in your role. On the topic of stories, I'll be asking Sarah to share hers and also how she maintains an alignment in everything she does. So if you feel like you'd like to understand more about how to utilise stories to sell effectively or to ensure your audience retains your information, then tune in. The saying "good things come to those who wait" gets banded about a lot, but really all it's doing is setting you up for failure. The only way to achieve what you want, the goals you want to achieve and be in control of your own success, is to get proactive and go after what you want, not wait for it to find you. 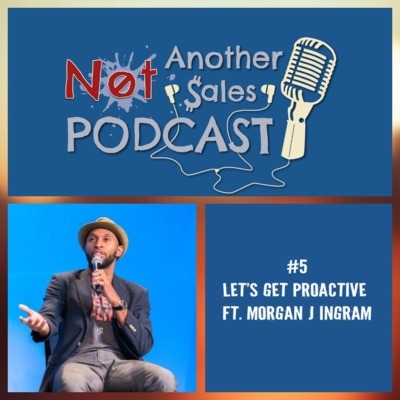 In this episode I'm joined by my guest Morgan J Ingram, Host of The SDR Chronicles Podcast, motivational speaker and Director of Sales Execution & Evolution. We're talking all about the habit of proactivity, what you gain from taking this mindset, what you lose by being reactive and how to turn it into a habit that will consistently drive you forwards. Morgan will also be sharing more about his story behind The SDR Chronicles Podcast and what motivates him. 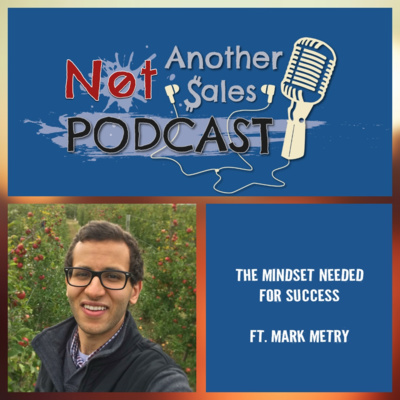 If you want to gain some tips and ideas on how to develop and maintain a proactive mindset to ensure consistent success in sales, then tune in. We sometimes feel like we want a change in our life, but as humans the fear of change and the unknown often scares us. Often when we overthink, we create a bigger challenge. What defines some of the most successful people is their ability to act immediately. In this episode I'm joined by Rachel Whynot, owner of Founder Freedom and an award winning Business and Marketing Success Coach. We're going to talking about why we sometimes overthink change, why it's important to act on it immediately and what challenges we can face by consistently overthinking. They'll also be some practical tips shared on how you can become better at acting on change and how you view it, whether that's at work or everyday life. Rachel will also be talking more about her business Founder Freedom and what inspires her. So if you feel like you often overthink challenges or change on a regular basis, not sure on how to act instantly without having all the answers, then tune in. In a crowded and competitive world, it's very easy to blend in with everyone. What can help you differentiate yourself and one of your greatest strengths, is your authenticity. 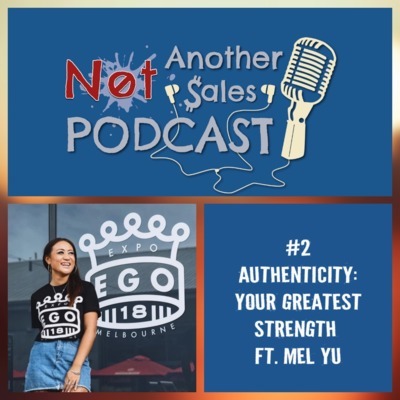 I'm joined by Brand Strategist Mel Yu, owner of MCO Events, founder of Australia Streetwear Expo, Ego Expo and a keynote speaker for suicide prevention. We're going to be discussing what it means to be authentic, how it can help us in the world of sales, along with everyday life, and the impact it has when we lose our authenticity. We'll also be providing some practical tips on how you can ensure you're staying authentic. I'll also be asking Mel about her story, what inspires her and how she got to where she is today. So if you feel like you'd want to be more aware of your authenticity, how to utilise and stay true to it, then tune in. In a world where we constantly focus on our actions, it's easy to overlook our mindset and approach towards how we live our lives. Self awareness is an essential part to achieving consistent success and happiness in our career and everyday life. 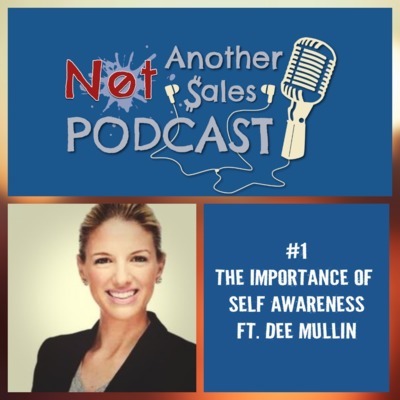 I'm joined by Dee Mullin, Certified Professional Sales and Leadership Consultant with Southwestern Consulting. We discuss the meaning of self awareness, what gets in the way of us being self aware and the importance of it. We'll also provide practical tips of how you can become more self aware, which will lead to greater control and understanding of how you can approach every situation with the right mindset. Dee will also be sharing the ways in which she ensures she remains self aware, motivations and sources of inspiration. 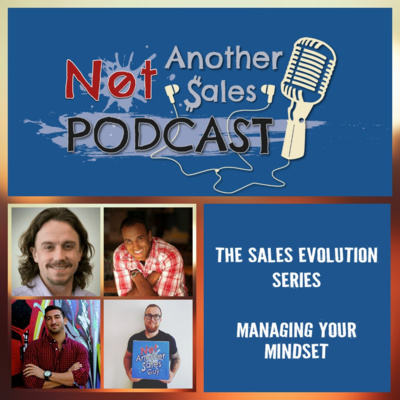 If you want to gain a better understanding of how you can become more self aware and what it can do for you within your life and your career within the world of sales, then tune in.